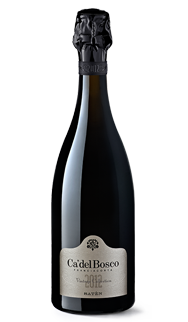 Tasting Notes: Many winemakers dream of capturing the essence of pinot nero. Some are convinced the variety’s soul lies in the power it can express and others focus on its elegance. Some even point to its neutrality. The truth is that there is no single essence of pinot nero. 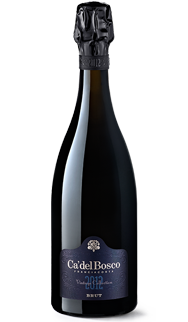 It is a wine with a range of expressions, each interpreting a terroir of provenance.Tenuta Belvedere comprises three plots of vines set in woodlands. It stands at 466 meters above sea level in the hills of the municipality of Iseo on the south side of Lake Iseo. Pinot nero grown here delivers austerity, tautness and rigour. Lengthy lees contact transfers to the glass what grape and soil already contained. The estate’s soil comprises deposits of glacial origin facing south towards the sun and sheltered from the northerly winds. The terrain built up over successive Ice Ages and now resonates with minerality, maturity, stones and warmth. Vintage Collection Dosage Zéro Noir has no dosage or added “liqueur d’expédition. Food Pairings: This is a wine of great class, very dry (zero dosage) with savory complexity, yet with plenty of broad, ripe fruit and complex developed aromas. It can easily cut through fatty fish as well as pair beautifully with delicately spiced dishes. 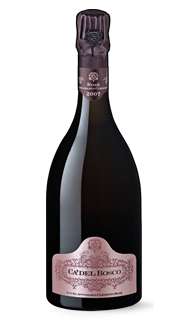 Cuvée Annamaria Clementi Rosé is the quintessence of Pinot Nero vinified on its own with brief skin contact the Ca’ del Bosco way. 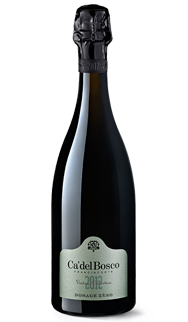 Cuvée Annamaria Clementi is the product of an unremitting quest for excellence in vineyard and cellar. 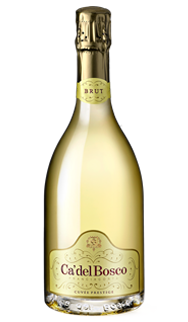 The base wines for Cuvée Prestige are obtained in compliance with a rigorous winemaking protocol. 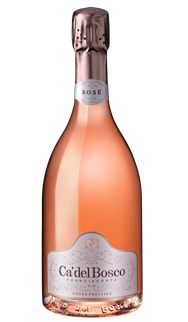 Cuvée Prestige Rosé is obtained from the separate fermentation of Pinot Nero and Chardonnay grapes. 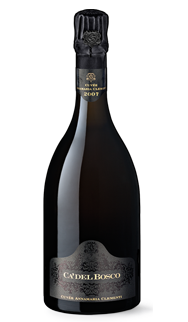 Franciacorta Vintage Collection is obtained from meticulously selected grapes skillfully vinified in full compliance with the Metodo Ca’ del Bosco. 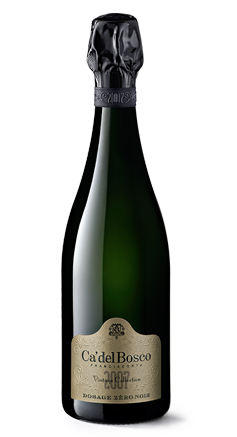 Franciacorta Vintage Collection is obtained from meticulously selected grapes skilfully vinified in full compliance with the Metodo Ca’ del Bosco.